I read this article and found it very interesting, thought it might be something for you. 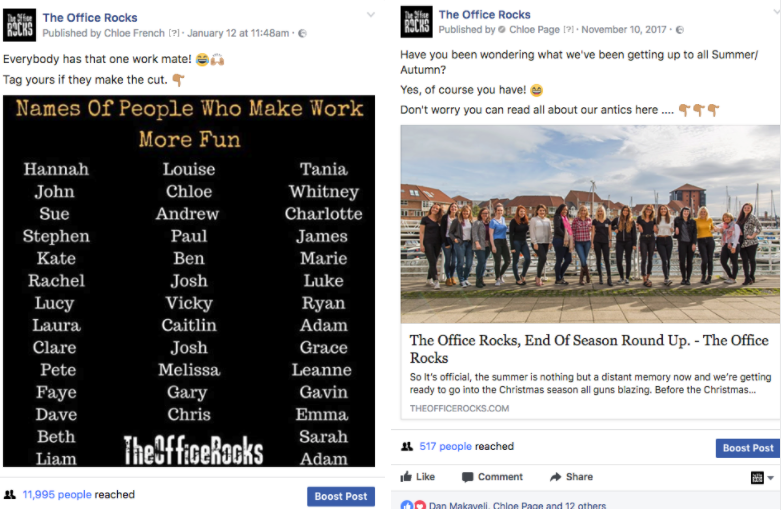 The article is called How To Grow A Facebook Audience And Keep Them Engaged and is located at https://www.theofficerocks.com/grow-facebook-audience-keep-engaged/. 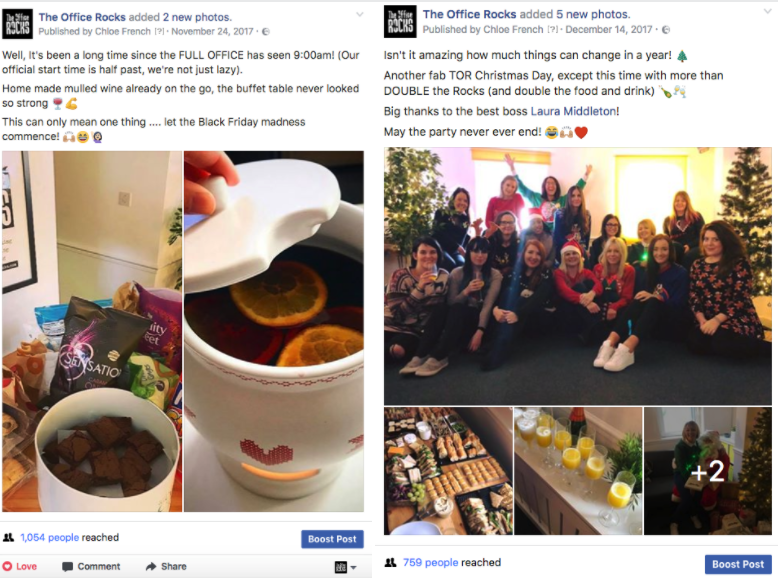 One of the the questions we often get asked by small companies and local businesses is how can they grow their Facebook audience and keep them engaged? And what a great question it is! After all, the more people you can reach on social media the more potential new customers you can attract. And who doesn’t love new customers?! So I have put together a few of our top tips which we think will be an amazing starting point for you when beginning to grow your audience. We don’t believe that anybody should hand their social media accounts over to agencies or other companies who will charge you a mint. Let’s face it, nobody is as passionate about your baby as you are yourself, and that will hopefully shine through in your own posts! Make it personal and show off your personality. People like to see pictures of you and what you’re up to because let’s be honest, it makes things more fun! Don’t be afraid to inject some personality into your social media. Social media doesn’t have to be as time consuming as people think. Begin with one post a day as a starting point. It’s a known fact that Facebook favours quality over quantity. One good post in a day will generate much more reach than lots of pointless ones. Don’t be afraid to experiment with your content. For example, pictures and videos will stand out much more on peoples timelines than general text. Pictures will always be a winner because Facebook is such a visual website making it easy for text to get lost amongst all the hundreds of other friend updates we have constantly streaming in. Us personally? We always like to keep ours bold and colourful. You can see an example of something we would post on our Facebook page below. As you can see we like to make fun and bold statements in true TOR style! Find your tone and keep it real, relaxed and relevant. Try out a few posts that might be eye catching for your audience and potential customers. You’ll quickly be able to identify which posts spur the most engagement and get yourself into a creative flow. There’s no harm in telling people to engage with your post. For example telling people to tag or share. It’s a great way to get people interacting which ultimately means your post will become visible in more people’s timelines. Viral’s and memes are always a winner when it comes to increasing reach and engagement. Competitions can be another great way of building your audience and getting people engaged. 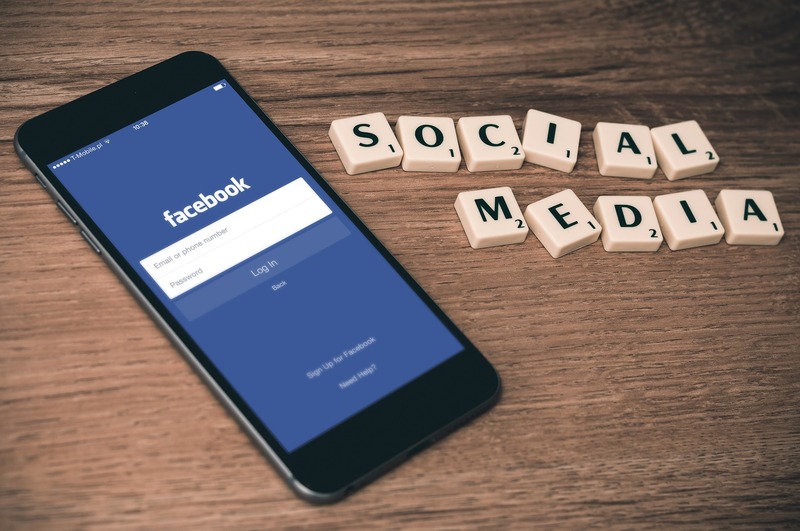 If you can offer a great prize which is relevant to your page or service that people would be interested in, then you’d soon have lots of people sharing and commenting to win. Boosting your top posts could be something to consider. If you have a post that has worked particularly well in terms of engagement and reach, then boosting it could help you reach even MORE people outside of your current audience. You don’t need a huge budget to do this but if you’d rather not pay for your audience growth then another top tip is to create Evergreen content. Evergreen content is useful content that can be used over and over again. For example, it could be a blog post that links back to your website? Or a video or picture that gets people talking. Something that isn’t time sensitive and can be recycled. This is the perfect way to really get the most out of your content. If you do have a blog on your business website, then don’t be shy to post recent articles onto your Facebook! Make sure you like our page on Facebook to keep up to date with our antics!